Is that young David feeding the ducks? I received an email message earlier this week from David; an Old Wulfrunian born close to Kingsland Road, off Leicester Square. David noticed I had been “idle on parade,” regarding the website of late and sent me this message from Australia. “Hello Billy, Do hope this email finds you well. 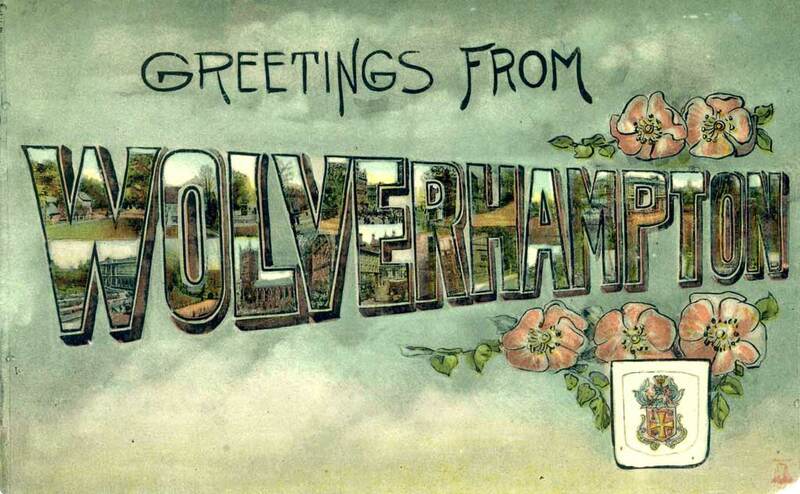 I wanted to ask if you would be able to make more posts – as the host of this wonderful site ( I do visit regularly) you have a knowledge of Wolverhampton that has to be passed on for those that will come after you and have a desire to know what the old place looked like. I have read and re-read every article you have posted, devoured almost, every word and every picture. As the host and therefore the ‘leader’, you have an obligation to pass on your knowledge, it is with your posts that will generate more interaction from the followers of this site and with that comes more interest, as people will talk to their friends and so on. I’m a long way away in Australia and through this site, I have been able to catch up with a chap that went to the same school as me and we email each other almost daily. I love your site Billy and wish it the world of success, but I’m hungry for more and I have not been able to find anyone else via the internet that has your knowledge of old Wolverhampton as I knew it. Please keep up the great work for as long as you can. Firstly David, thank you for the kind words and positive review. Apologies for my lackadaisical efforts of late with the promptness of posts. 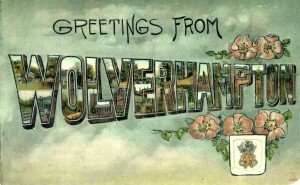 I have been rather busy recently with my local talks about Wolverhampton. Currently I have a couple of working ideas in the pipeline, and shall endeavor to get them up on Lost Wolverhampton as soon as I can. Regarding your birthplace in Wolverhampton; I would certainly say that you were lucky enough to see Whitmore Reans at it’s best. As a small consolation, here are just a few reminders of the what we have lost. 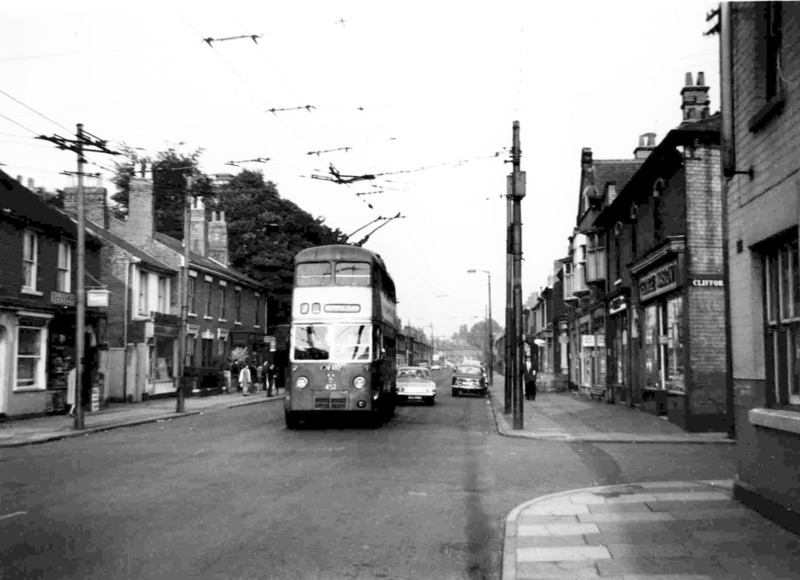 In the 1950s Whitmore Reans, like Horsley Fields, Chapel Ash, Blakenhall etc, was a thriving community with a mixture of terraced housing amongst clusters of small shops and local industries. My Father had quite a few friends living in Whitmore Reans working at the Railway Locomotive Works at Dunstall, or at Courtaulds where he himself worked, in the Spinning and Recovery departments. I remember the Courtaulds stacks, known as “the Three Sisters.” They were an integral part of the Wolverhampton skyline for many years. I recall with fond memories the kids Christmas parties in the canteen with a present from Father Christmas. Thinking back, I can still hear the familiar sound, that sang out at the end of every weekday lunch time. Courtaulds “Bull;” it sounded out at twenty past one; a reminder for my Father to rush out of the house and hurry back to work for the afternoon shift. 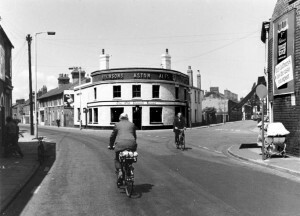 The Old Round House, Coleman Street, Now long gone was then an Atkinsons Public House and stood for many years adjoining Gatis Street and Evans Street. Across the road from that junction stood the old St Andrews School, itself a few yards from the Rex. Between Evans Street and Chester Street a further 100yards or so before Leicester Square was another Licensed house, The Baggott Arms, a lone survivor now from an area you would find unrecogniseable today. The aforementioned public house has recently gained a dubious reputation and is now part of the Avion Shopping Centre. 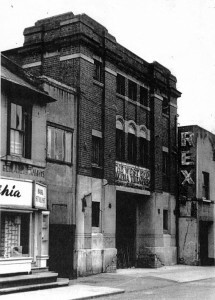 The Picture House in Coleman Street shortly before demolition in 1960. Formerly The Strand, West End, The Park, and finally The Rex. It wasn’t long after the ‘Park’ closed in July 1947, when Uncle Dennis Cooke, recently demobbed from the navy started as chief Projectionist at the newly opened Rex Cinema, in Colman Street Whitmore Reans. In the evenings and weekends I’d probably see five or six pictures a week during the school holidays, and when the opportunity arose I’d just sit in the projection room and watch him splice the films and he would give me a couple of frames to place in a viewfinder, bought from Woolworths. Happy Days. On its way to its terminus in Court Road passing George Masons grocers on the corner of Clifford Street, in 1960. It now has two choices of route. It may turn right on the loop which will see it go down Hunter Street and Hordern Road turning in to Court Road and its terminus stop, adjacent to the Golden Eagle Public House. Or it may carry on down Newhampton Road West, turning right into the other end of Court Road and down to the stop now opposite the Golden Eagle. Both buses will then carry on in their same direction on the loop on the return journey to Wolverhampton Victoria Square, and then on to Bilston and Darlaston. All these sites and sounds were to become unforgettable memories for me of Whitmore Reans. I hope these old pictures can stir a few memories for you too David. I too lived in Whitmore Reans between 1946 and 1951 at 345 New Hampton Road West, behind a Television Shop, Smiths ?? and next to Shacklocks Garage. A few doors away was a second hand furniture shop and the Co-op a few doors away from that. 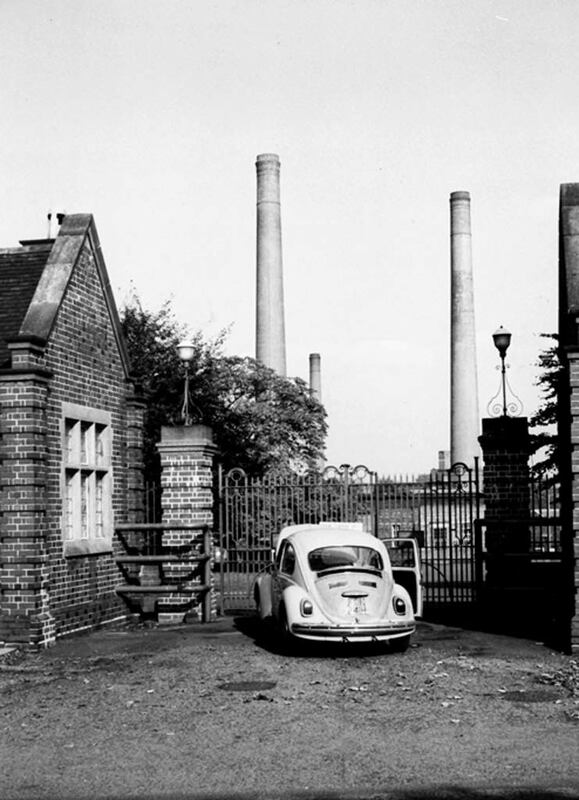 Just opposite was the gates to The Wolverhampton Steam Laundry. Yes I remember the Rex, it wasn’t a Cinema it was a picture house. I think it was on Tuesday and Wednesdays they had the Superman Serial and when an A Cerficate film was showing you had to (a) talk your sister into taking you. (b) ask a stranger to take you in if you gave him your admission money. Wouldn’t happen today. Next to the Rex was Ladies Hairdressers and opposite a good Fish and Chip Shop. I attended St. Andrews Elementary School which was opposite one of the Courtaulds entrances and on a trip back to Wolverhampton last year I visited the schools I had attended. St. Stevens, Springfields by Butlers Brewery, still standing. God didn’t it seem big when you were five year old. Then St Andrews still standing but in a sad condition and St Peters in the town centre. The big boys school. I remember there were still grave stones in the playground and it was a new boys rite of passage to be beaten over the gravestones by your elders and betters on your first day. Bullying, of course we were bullied. Square and was considered a bit posh. There used to be a Milk Bar on the corner. We used to go exploring which consisted of using the canal towpaths. We would walk to Compton and they had some pre-Fabs in Henwood Road. They were a dream. There used to be a Railway Bridge over the canal, still standing, and for any kid with an imagination this was heaven you didn’t need swings and chutes. We used to head the other direction to the Race Course and Aldersley getting home towards dusk with out a care in the world, unless you had ripped your trousers then God help you when you got in. Thank you for giving me an outlet for my memories Billy, I can’t say I remember you but we must be of the same age, I was in born in 1940 and had five homes in 15 years. I worked for Francis Nicholls in the Wholesale Market for a couple of years and spent most of my teenage life in the Flesh Pots of Wolverhampton. There must be more I can write. PS Please pass this letter and my e-mail address on to David of Australia and feel free to use it and to edit to suit. I believe my father, a man by the name of Albert Deakin (1929 – 1994) was a projectionist and possibly even eventually manager of the Rex cinema in the late 1950s. Is there anyone you know who might be able to help with more information? I know he was an electrician at the old Hippadrome after WW2 and also manager of the Coloseum on the Dudley Road. Our family lived in Evans Street when I was a child (I’m 59) and my dad was from Tremont Street in the old Heath Town area. I can’t ask family as there were not many of us and that generation of them are mostly dead now. Although I was born at an aunt’s house in Bilston, I lived with my parents and some other relatives in Charles Street, near North street W-ton until my parents moved to Whitmore Reans in the late 50s. 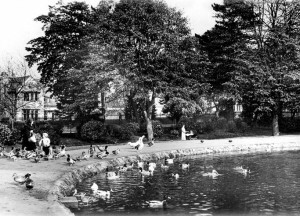 In 1966 they distroyed Whitmore Reans as I remember it (as they did most of the town) and we were given a council house in Northwood Park, not far from where I now live on Moseley, an estate built in the 80s on land we played on as teenagers. Most of the people I knew from Whitmore Reans were also moved on when the houses were demolished so we all lost touch, most of us put on different council estates. Within a year of moving I left school and was working so again, lost touch with everyone. But reading this blog and looking at old pics of this area has brought back so many memories for me, thank you so much. I am looking and hoping to find information regarding a Charles Evans. Did your Dad live at Cannock Road Wolverhampton at some time in his life? I was born over a butcher’s shop on New Hampton road,in 1946, and my Nan lived in 93 Coleman Street. We moved to N.Wales when I was very young, but as a chlid I spent my summer holidays with Nan. Her name was Selina Steele and she lived with her sister Athalia,(Daught).one of the neighbours was called Dolly Bangs. My Dad was George Steele and had 2 brothers Charles and Tom. If anyone rembers them I’d love to hear from you. According to Spennels directory it seems your nan in the 1920’s lived at No92 Coleman Street and the nearest butcher to that address at that time on Newhampton Road was Dents butchers close to Gibbs Street. It a small hope but perhaps in the future someone can come up with something more positive. Please keep checking the posts. Thanks for clarifying that for me Billy. A shiver ran up and down my spine !!! Can you tell me what Spennels directory is? life than I knew about my forebears. Great work you are doing, thanks so much. Spennells Directory gave the names of the Streets and house occupants in the Wolverhampton of 1923. Keep watching and reading Lost Wolverhampton. Hello Bill, Are you giving any talks this year please, and also is John Neaves ok ?. many thanks. ps hope your better now. many thanks Mike. I have just discovered this site. I was born in 1936 and lived in Chester Street until 1955. I went to St Andrews and then to the Municipal Grammar School. I would love to hear from old school friends – I lost touch in 1955 when I joined the R.A.F. for four years. My Dad worked at Courtaulds after many years at the GWR My Mum worked for Phillips & Jones and later taught soft furnishing at several Technical Colleges. St Andrews School – I recall going for a weekend in 1948 with Red Cross Street to Kingswood Camp Lads from St Andrews came as well – Where you there. Besides working in the Market Trade my father also worked at Courtaulds as you may have gathered you probably attended the Christmas Parties just after the war as I did. Please keep in touch and don’t forget we have a facebook group now called Lost Wolverhampton also.